By now you’ve probably read about the ad blogger who’s being sued by a New York agency for criticizing that agency’s Maine tourism advertising. (That link goes to Advertising Ourselves to Death, which has an excellent recap of the situation, along with a great blog name in general.) In light of that dire situation, we’d like to clear a few things up. 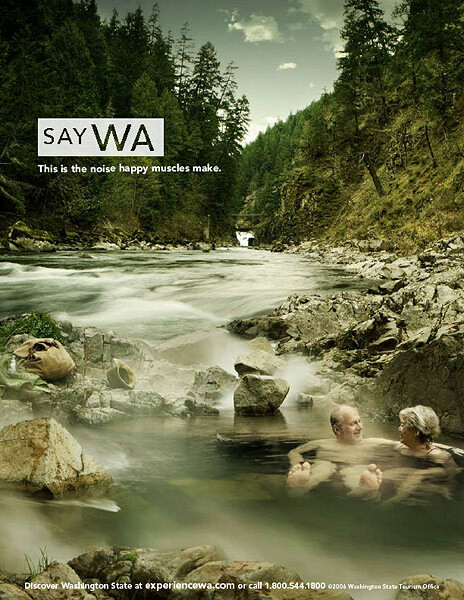 Did we call Washington’s “SayWA” campaign stupid? Obviously we meant brilliant. New Jersey’s “Come see for yourself” and Palm Springs’ “Give in to the desert. You’re surrounded”? Can’t think of better lines, really. And Indiana’s “Restart your engines”? Well, it’s no “Water is to fish as Indiana is to vacations,” but it’s pretty solid, too.